People First: How about a Reverse Greenland ? From my own Welsh perspective. Scotland is indeed another country. I may have lived and worked there for a few years but in recent times the nationalist parties of Wales and Scotland have politically diverged further from each other than ever before.Wales voted to leave the EU, Scotland to remain. A divergence reproduced between wealthy and poorer areas of Britain. Last weekend the Scottish National Party met in the Scottish Exhibition and Conference Centre, Glasgow. Like other political parties their membership has markedly increased over recent years. The number of venues suitable for thousands of delegates in Scotland are limited and this one is particularly well sited as other venues are available in the surroundingarea for the many and varied fringe events. 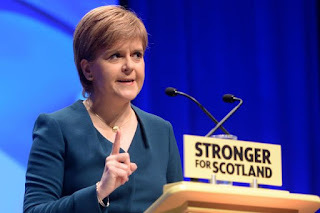 Thereby events are fulfilling the policy in their 2016 Scottish Parliamentary Manifesto that they did not envisage another Independence referendum except in the case of a major change in circumstances such as the UK voting to leave the EU and Scotland voting to remain. Coincidentally, this has come to pass. In the meantime all avenues are to be explored by the Scottish Government to keep Scotland in the EU without all the fuss and bother of having to leave the UK. 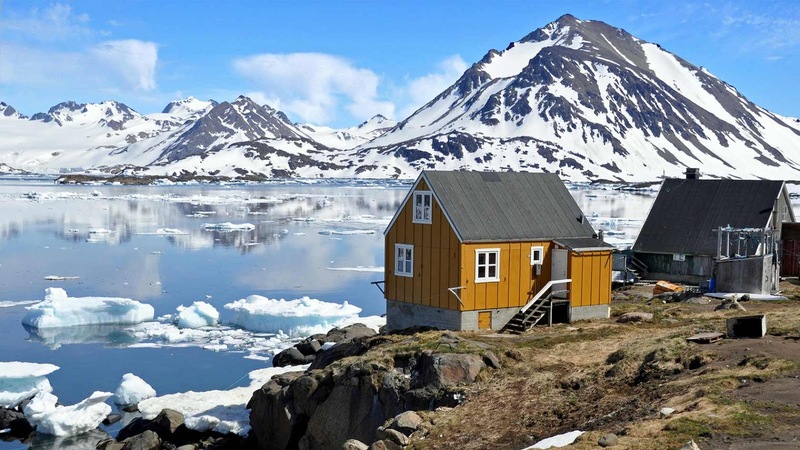 Hence the "Reverse Greenland" proposition and a few other ideas..
Greenland , population 56.000 was a province of Denmark and was given "Home Rule" status in 1979. It had joined the EEC along with Denmark (and the UK) in 1972 but in the referendum proceeding that decision had voted against joining but mainland Denmark voted for. After devolution a second referendum in Greenland also rejected the EU in 1982 and exit was finalised in 1985. As the area is still a crown territory of Denmark the inhabitants are still EU citizens and they do trade with the EU and because of that follow EU regulations for exports to Europe. The economy of Greenland is 90% dependant of fish and other seafood. They also get some EU funds in return for limited fishing rights "rented" to the EU. Now, the argument goes, if a semi autonomous province of an EU member state can leave the EU, why can't a semi autonomous province of a former EU State stay in? Hence the "Reverse Greenland"